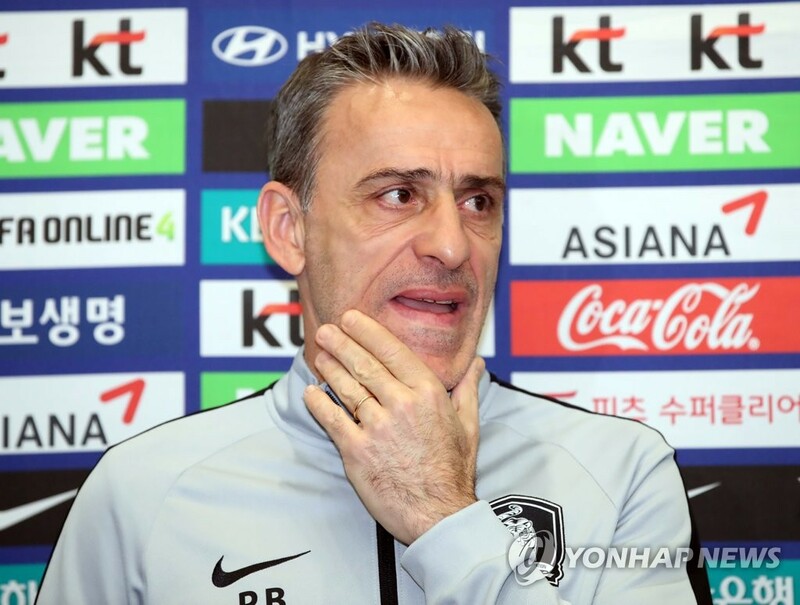 INCHEON, Nov. 21 (Yonhap) — South Korea national football coach Paulo Bento said Wednesday that his side’s plan for the upcoming continental tournament is going well after completing their tuneup matches. Bento’s team returned home after collecting one win and one draw in their Australia trip this month. South Korea played to a 1-1 draw with Australia and beat Uzbekistan 4-0. Bento said South Korea are moving in the right direction and that they are making progress. South Korea are on a six-game unbeaten run under Bento. The Taeguk Warriors now have three wins and three draws with the Portuguese boss. South Korea are in Group C with China, Kyrgyzstan and the Philippines at the 2019 Asian Cup. The Taeguk Warriors have not won the continental title since 1960. Bento said he will continue to analyze South Korea’s performance to make improvements. Bento said it was meaningful to test newcomers and get to know other players.